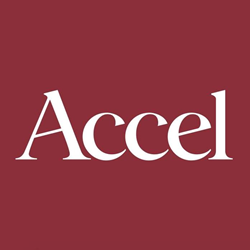 cleverbridge, a provider of global subscription billing solutions, announces that venture capital firm Accel has named cleverbridge in the 'Accel EuroScape', a list of the top 100 most promising SaaS companies in Europe and Israel. cleverbridge was listed in the Finance category of the EuroScape, which ranks companies by a set of criteria including market attractiveness, level of technology differentiation, strength of the team and market traction (monthly recurring revenues and growth in number of employees). Accel’s analysis estimates that the number of SaaS companies created has grown 4x between 2007-09 and 2013-15, and the amount raised by European SaaS companies has more than doubled. To better understand the new generation of SaaS companies, Accel took a systematic look at more than 1,000 SaaS companies across 12 countries to create the Accel EuroScape. This list was divided into eight categories including Marketing/Content Management, Sales/Lead Gen/Support, Finance, Human Resources, Productivity/Collaboration, Data/Analytics, Developers/Infrastructures and Vertical-specific (Health, Finance, Retail, Other). Other companies named to the list include Workable, Trustpilot, Intercom, Brandwatch and Zerto. cleverbridge was recently named a finalist for the 2016 SIIA CODiE Awards in the Best Subscription Management Solution category and 2016 European IT and Software Excellence Awards in the Enterprise Solution of the Year category. The company was also named a finalist for the 2016 V3 Digital Technology Leaders Awards in the Best Place to Work in Digital: Small and Medium-sized Enterprises and Product Manager of the Year categories. cleverbridge has also been identified as a “Leader” in the IDC MarketScape: Worldwide Digital Commerce Applications 2014 Vendor Assessment and a “High Performer” in the G2 Crowd Grid for Ecommerce Platforms. Both evaluations are based on completeness of vision and ability to execute in delivering an integrated digital customer experience. To view the Accel EuroScape, visit http://tech.eu/features/11306/saas-wars-europe-awakens. To learn more about cleverbridge, please contact inquiry(at)cleverbridge(dot)com or visit http://www.cleverbridge.com.